Over the past 2 years, I’ve had the chance to interview a wide array of polyglots of all ages and from vastly different backgrounds. From a globe-trotting blogger and a former diplomat to a Himalayan explorer and Britain’s most multilingual student, these passionate people have, more than anything else, deeply inspired me. They’ve taught me a handful of priceless lessons about language learning, success, and how to live a fulfilling life. Today, I thought I’d take the time to have a bit of a deeper look over what these people have taught me, and share these lessons with you. I hope you’ll enjoy the nuggets of wisdoms that I’ve been able to collect over time from these inspiring individuals, and if you enjoy this article, the best way you can thank me is by sharing it! The first thing you realize when you rub shoulders with successful people from just about any field is that everybody is different; everybody has their own way of doing things. Indeed, there is no “one size fits all” magic potion that will lead to success, there is no single paved road that will give you a smooth ride all the way to your dream destination. That, of course, is also true of language learning. Indeed, one thing I’ve learned from my interviews with people such as Luca Lampariello, Benny Lewis, Susanna Zaraysky, Alex Rawlings, and Keith Swayne, is that they all vastly differ in their approach to language learning. Luca’s preferred method, now quasi famous, is bi-directional translations; Benny hammers the importance of “Speaking from Day 1”; Susanna’s Portuguese could be mistaken for a native Brazilian thanks to her love of music; Alex seems to have been highly successful at learning in a more academic setting; and Keith ascribes his success to the relationships he’s been building through chatting with natives in cafes. The first thing you should understand from this fact is that whatever works for you is the right way to go. 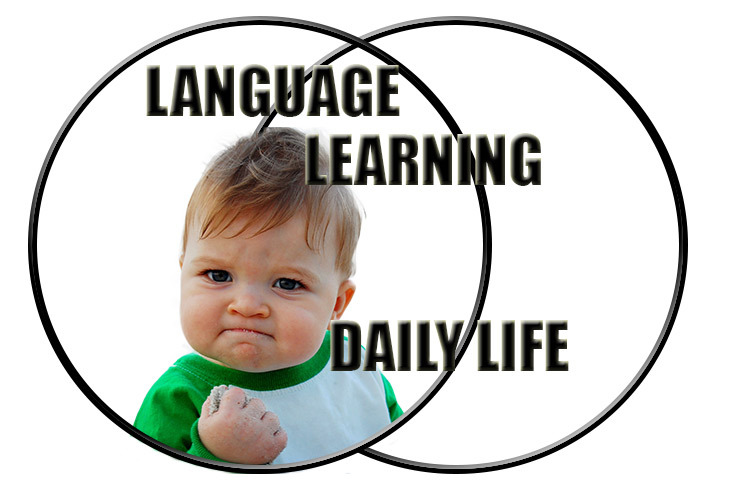 All these people are highly successful at what they do, yet they all go about learning languages their own way. They’ve all gotten to know themselves better as learners through a process of trial and error and through experience. Yet… there is indeed some common ground to be found. 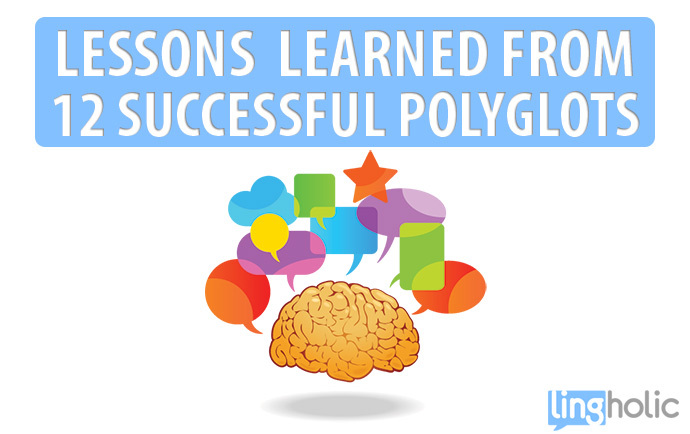 Now, I’ve probably convinced you by now that we all learn differently and that the polyglots I’ve interviewed up until now approach language learning, for the most part, from vastly different angles. Yet, I’ve found that in fact there are a lot of similarities among all these polyglots; all you need is to dig a bit beneath the surface. Now, of course all of these people are super passionate and they, for the most part, just love what they do. But here’s the big secret that really sets them apart from most: they actually make foreign languages an integral part of their lives. Now, I’ll repeat that because it’s just that important: they make foreign languages an integral part of their lives. This may appear like a trivial fact, but this is in reality a very powerful idea to grasp: whatever you enjoy doing in your native tongue can be enjoyed in a foreign language. In fact, I’ve found that what I enjoy doing in my native tongue becomes even more exciting when done in a different language. Of course, when you just got yourself started with Spanish, you won’t jump on the latest copy of the 1000+ page Don Quijote de la Mancha. But even in the very early stages of language learning, nothing stops you from listening to Café Tacuba or watching one of Pedro Almodóvar’s blockbusters, even if it’s with subtitles. So the next time you feel the urge to ask a polyglot the question “how long have you been studying so-and-so language?” try instead to ask “how long has it been part of your life?” You may get a more straightforward response! So that’s it. I hope you’ve enjoyed this article, and hopefully you will have found something useful out of it. Interviewing and interacting with close to a dozen polyglots has certainly taught me that while they all approach language learning their own very unique way, there’s also something that brings them all together: it’s the passion for what they do and how it, quite simply, becomes a way of life.